Description: The Abzorb Mat is the toughest, most durable mat we have. It has a non-penetrable backing and non-skid features. The top polypropylene side is super absorbent. Absorbs all fluids. Comes in a dark charcoal gray color to mask dirt and leaks. Can easily be cut in lengths required. Available in 3' and 6' widths up to 150'. Uses: Use inside or outside. 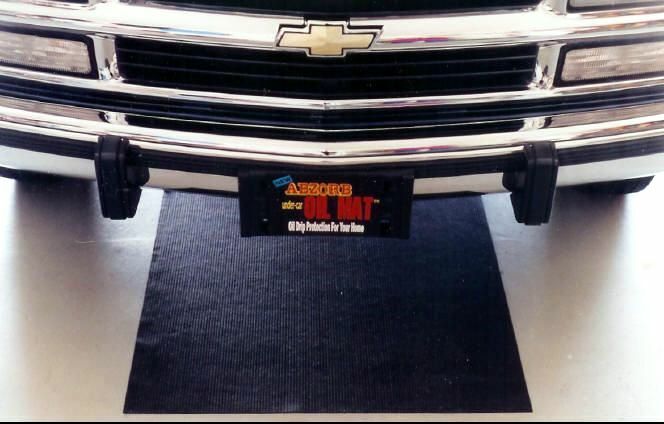 Use in walkways, under equipment, to protect office carpet, under vehicles, soaks up vehicle leaks, etc. Additional product information on order page. Order the Abzorb Mat now. 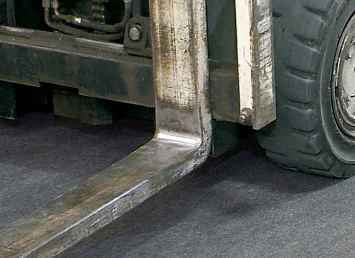 Description:This is the Abzorb Mat described above, cut in a size to fit most forklifts. The forklift mat has a polypropylene top side to absorb any leaks and a non-penetrable backing with non-skid features. Color is dark charcoal gray. Uses: Park your forklifts on the mat to absorb any oil or battery leaks. Helps to keep your floor safe from slip and falls. Protects concrete floors from stains and battery acid damage. Mat size is 6'x8'. Custom sizes available. Additional product information on order page. Description: Made from recycled polypropylene and acrylic fibers. Will stand up to high traffic use. Uses: Use in walkways and under machinery. This industrial matting will absorb oil, coolants, solvents or just about any fluid to keep your walkways safe. Additional product information on order page. Description: Our Rail Road Track Mat is layers of meltblown absorbent material that is top-layered with needle-punched felt for strength. The ground layer is poly-backed with a chemical-resistant material. UV resistant cover material.It comes in 59" rolls to fit between the rails and 19" rolls to fit on the outside of the rails. 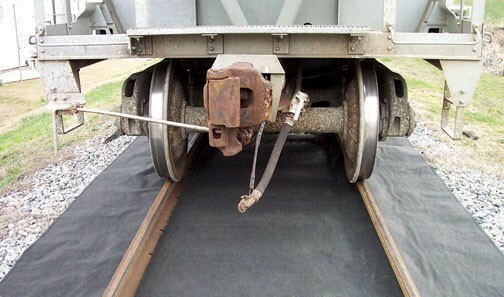 Uses: Used to protect the bed of rail road tracks where chemical or hydrocarbon leaks might occur from rail cars. Used by rail road companies, transportation companies, utilities, factories, refineries and other industries when unloading or parking rail road cars. Description: The Survivor Camouflage absorbent mat is made with three layers of material. The top and bottom layers of polypropylene are ultrasonically bonded around a high-loft meltblown core. The top layer wicks liquids away into the center core where it is trapped. The bottom layer is densely-woven strands of fine fiber to increase surface area. This enables the mat to grip the floor for safer walking. The camouflage series hides leaks and drips for longer use. Uses: Use around machinery or on walkways. Additional product information on order page. Description: Prevent damage or contamination to soil or grass with this lightweight mat. Absorbent, easy-clean polypropylene with non-penetrable vinyl backing. Economical, long-lasting, wind and weather proof design. 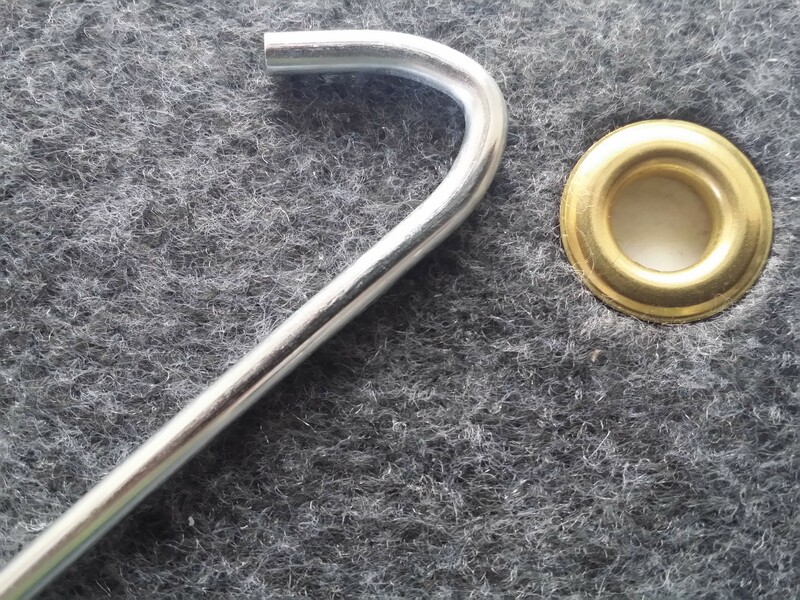 Comes in 3' and 6' widths of various lengths with grommets and stakes. 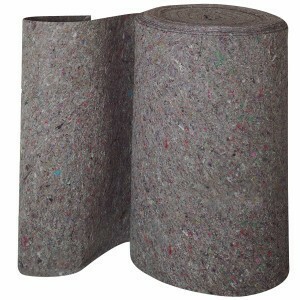 Uses: Use as turf protection for lightweight vehicle and pedestrian traffic or construction sites. 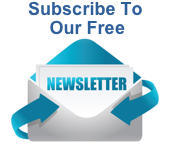 Ideal for event planners, caterers, RV owners and more. Additional product information on order page.